Dr. Kiran A. Shinde conceived and visualized Pune Biennale, India’s second Biennale, in 2012 along with his colleagues at Bharati Vidyapeeth University College of Architecture, Pune, where he works as Principal. The concept of the biennale evolved from his multidisciplinary background and diverse international experience of working with public agencies and in public spaces. Accordingly the first Pune Biennale was celebrated in 2013 with “hills” as the theme. The second Pune Biennale was centered on the idea of “heritage”. 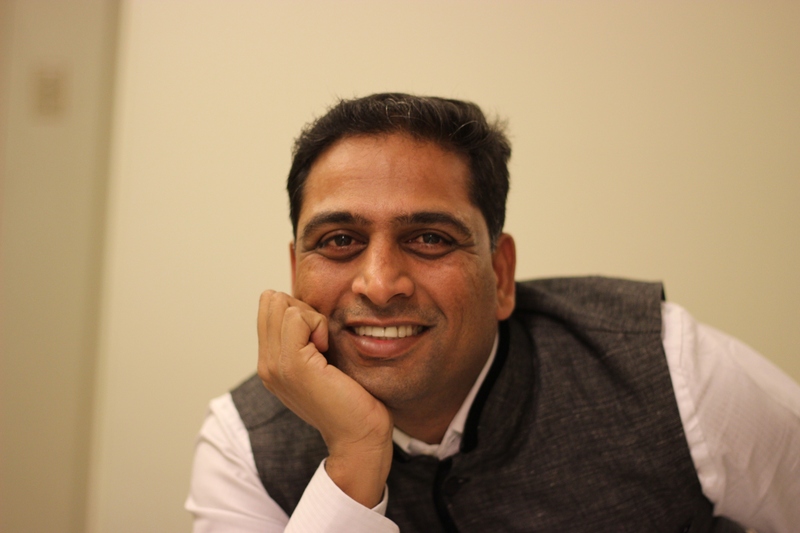 He is the Managing Director of the Pune Biennale Foundation. Qualified as a Ph.D. from Monash University, Australia and having two Masters Degrees in Urban Planning and Urban Management, he has been working towards improving aesthetics in public spaces. In 2015, he led the design of Pune Arts Plaza on an abandoned heritage bridge as a major urban design project for Pune Municipal Corporation. In 2016, with colleagues from Pune Biennale Foundation, he framed Pune Speaking Walls – a community arts project for beautifying the public compound walls in Pune. Pune Biennale, the flagship event of Pune Biennale Foundation presents a global platform for showcasing the city’s creative talent.